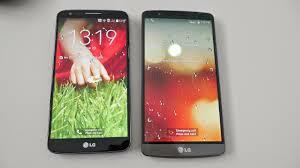 LG G4Â vs LG G3Â comparison:-A couple of days ago, the G4 was leaked on the Internet via what appears to be an accidentally live page dedicated to the upcoming product, showing a number of things. One of them was the gadget having a removable microSD card slot and replaceable battery. A significant observation was the fact that the G4 may come in leather back covers.Considering the success of the award-winning G3, as evidenced by the 10-million-unit sales, the G4 needs to prove it’s a worthy successor if LG wants another hit on its hands.Lets have a comparable look below in details LG G4Â vs LG G3Â Â comparison,Â specifications, price, comparison and pros and cons. LG is apparently cutting down on the number of devices it makes and throwing all its energies behind the G4. It may be considering another go at the Galaxy Note, and hopefully this time itâ€™ll be more successful than the LG G3 Stylus was. With the LG G Pro range apparently on ice, the prospect of the G4 being LGâ€™s biggest, baddest phablet isnâ€™t particularly far-fetched. While the current G3 is smaller than the last G Pro weâ€™d be surprised if LG decides to make the display bigger in the G4, as the 5.5 inches of the G3 is already more than big enough. A better, brighter screen might be incoming, though, and with everybody apparently going down the 4K resolution route LG may well be tempted to do the same. If we were betting types weâ€™d put our money on more pixels rather than more inches – and unlike the G Flex we think the G4â€™s screen will remain flat rather than curved. The G3â€™s cameras are 2.1 MP for selfies and 13 MP on the back, and the G Flex 2 has kept to that configuration. Itâ€™s not a bad camera but rivals such as Samsung have better, and if LG doesnâ€™t update the G4â€™s camera itâ€™s going to look a little bit out of date. Some rumors suggest that the G4 may get a 16 MP snapper on the back and a 5.1 MP selfie shooter and others suggest a 20.7 MP main camera, although that may just be wishful thinking. LGâ€™s phones have shipped with 3000 mAh batteries for some time now, and we know from real world experience that they last very well. The combination of a 3000 mAh battery and a 64-bit processor seems to be upholding that tradition in the G Flex 2, and as a result weâ€™d expect the LG G4 to come with the same battery unless LG defies expectations and gives it a bigger display to drive. Weâ€™d expect the Snapdragon 801 of the LG G3 to get an upgrade, most likely to the 64-bit Snapdragon 810: as thatâ€™s already in the LG G Flex 2 weâ€™re hardly going crazy with wishful thinking here. The G Flex 2 is available with a relatively titchy 2 GB of RAM on board, and with 3 GB phones becoming increasingly common LG might want to keep the G4 competitive in that respect. Where the G3 comes with 16 or 32 GB of storage, expandable via the ubiquitous microSD card, weâ€™d expect capacities to double in the G4. Once again the G Flex 2 tells us what we need to know: where the G3 shipped with KitKat, the G Flex 2 ships with Android 5.0.1 Lollipop. Weâ€™d expect the G4 to ship with the most recent Android available, which is currently 5.0.2, and to have LGâ€™s own Optimus UI on top. If the expected release date is correct, the G4 will be shipping a few months too early to get Lollipopâ€™s successor. LG certainly has high expectations when it comes to the G4. The company says that the new flagship will allow customers to “see the great” and “feel the great”, hoping that everyone will consider it to be one of this year’s hottest smartphones. While it’s too early to say if that’ll be the case, we can certainly take a look at how the G4 will stack up against the G3. The LG G3 can be picked up on Amazon.com for 599.99 USD for a non-contract carrier version. It seems safe to say that, unless LG brings out multiple versions of the LG G4 (like a lite/mini version), the regular handset will set you back at least 600 USD.